I love eating eggs for breakfast. Or any time of the day really. 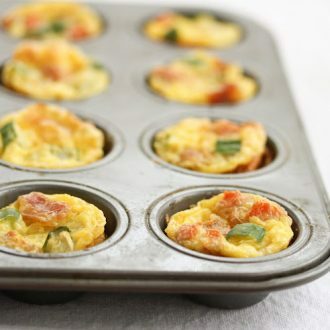 I came across a recipe for mini frittatas on Family Fun. They remind me of mini omelettes because you have an egg base, and then you fill it with whatever mix-ins you desire. I chose shredded cheese, bell peppers and bacon. Mmm bacon. 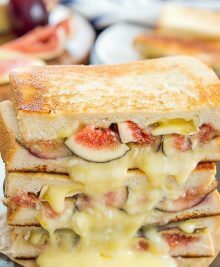 These were really easy to whip up and I like how versatile they are with the fillings. They were initially puffy but sank down and became kind of wrinkled and shriveled after they cooled which is too bad. They don’t look so pretty but they taste great. When I was adding in the mix-in ingredients, they kept sinking in and disappearing into the liquid egg batter. 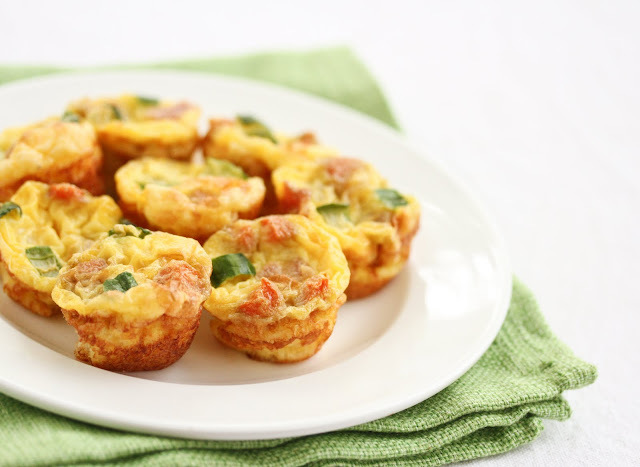 But once they baked, the ingredients rise to the surface, adding some color to the frittatas. I need to figure out a way to keep them from shrinking so much, but other than that, I loved these. 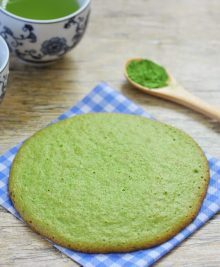 The original recipe makes them the size of cupcakes, and it looks like there wasn’t as much shrinkage. I’ll have to play around with the recipe some more. But I’ll definitely make these again. I couldn’t stop popping them into my mouth. 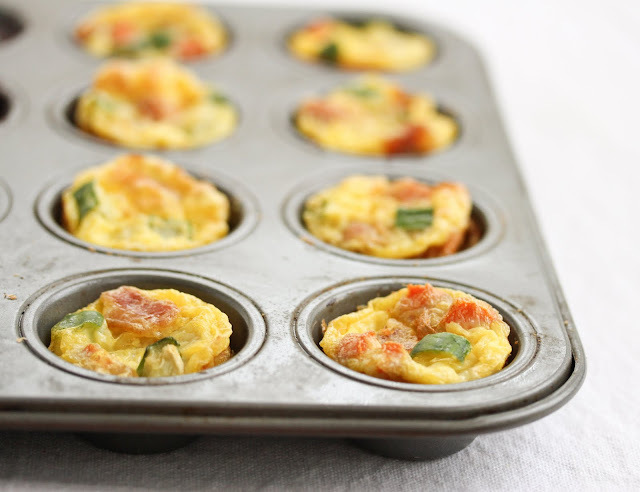 These would be perfect for brunch or for a portable on-the-go breakfast. 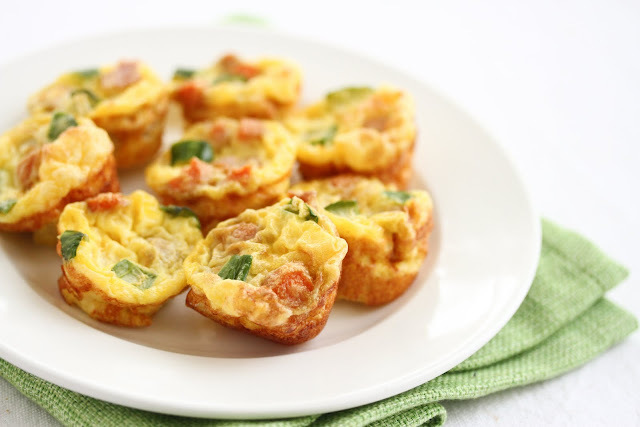 These mini frittatas are so easy to make and you can customize them with different fillings. Preheat oven to 350°F. Grease about 10 molds of mini muffin pan. 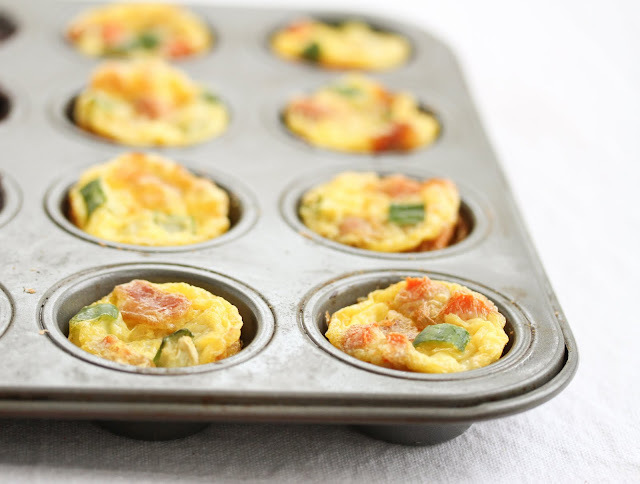 Whisk together the eggs, milk, and salt in a medium bowl, then evenly distribute the egg mixture among the muffin cups. Add about 1 tablespoon of mix-ins to each cup. Bake the frittatas until they are puffy and the edges are golden brown, about 15 minutes. Loosen with knife and serve warm. Nutrition estimate does not include the add-ins. I should try this! I wake up hours before my own “FH” (who can’t cook a lick) and spend the morning working, so he always goes out for breakfast. I bet he could pop these in the microwave and save us some money! Yes! Definitely check these out. 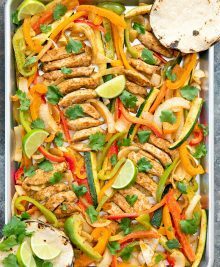 So easy to make and you can bring them on the go, reheat, etc. My FH can’t cook either. haha. Thanks for the recipe! They were so good, I doubled the recipe and made another batch! Yay! so happy you had positive results! Try beating the egg yolks and the white separately, making the whites quite stiff, then folding the two together. Should hold the shape better. The list of ingredients says milk but then the instructions say half and half. Which one did you use or does it not matter?